Making a gorgeous Pineapple Glazed Ham is not as hard as one would think. 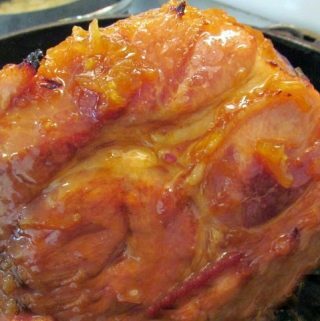 We have an easy ham glaze that is made with pineapple and brown sugar that will rock your baked ham. For years I prepared my ham glaze the way, my mother did. Open a can of pineapple rings, place on ham and then pile on the brown sugar. Some of you may say yuck but others like me grew up on that ham. 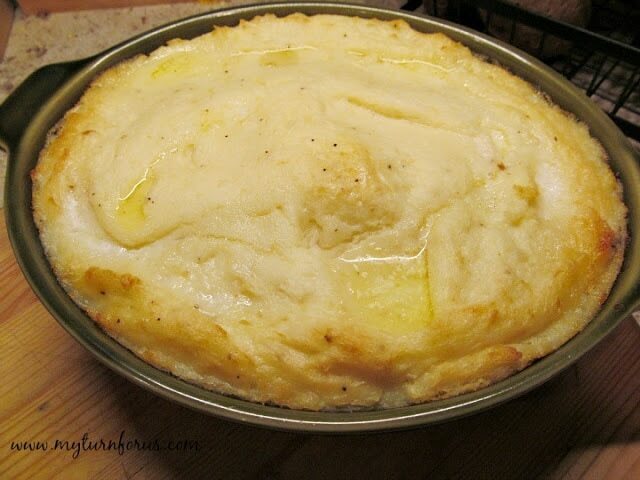 It was good, very good because my mom made it but it was just lacking something. 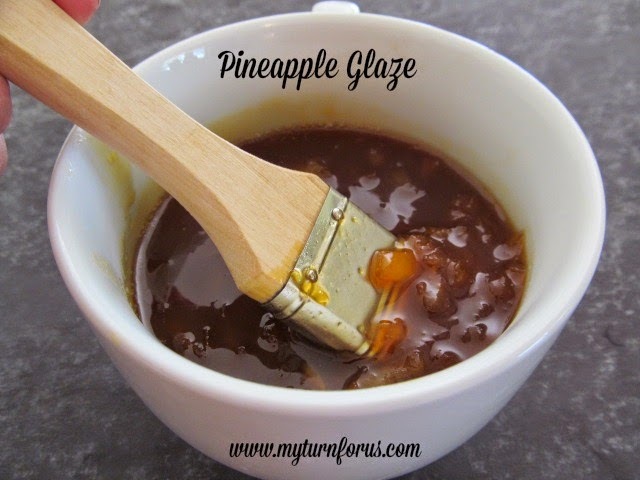 I never realized it until I tried this Pineapple Glaze recipe. Just by adding a few ingredients in a saucepan and heating up the brown sugar with that awesome pineapple with the juice, it will make the most awesome glaze. That’s right, easy peasy! I still add pineapple rings on top of my ham, I mean what’s a holiday ham dinner without those browned rings of pineapple hanging precariously on top of the ham. Yes, and I still use toothpicks to attach them to keep them exactly where they look the prettiest. And to show off our gorgeous ham, we are setting the table with these Table Linens that I simply love. 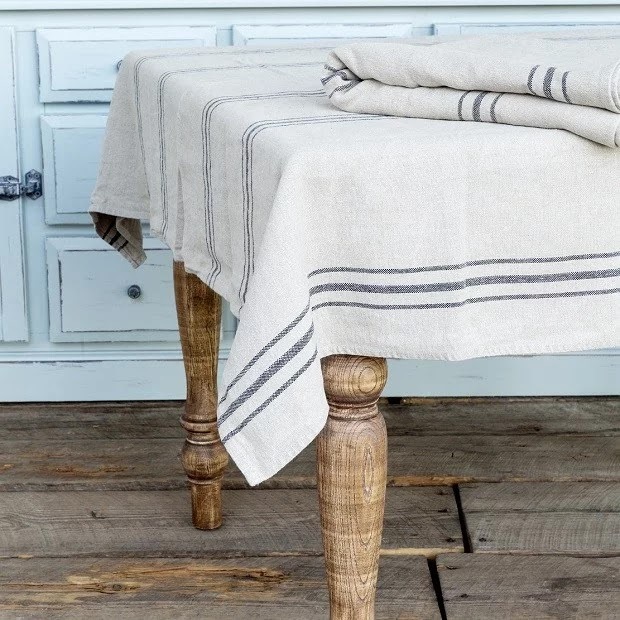 Reminds me of the flour sack tea towels that my mother always used. I never know what I will find over at Antique Farm House but I always find a cool treasure. 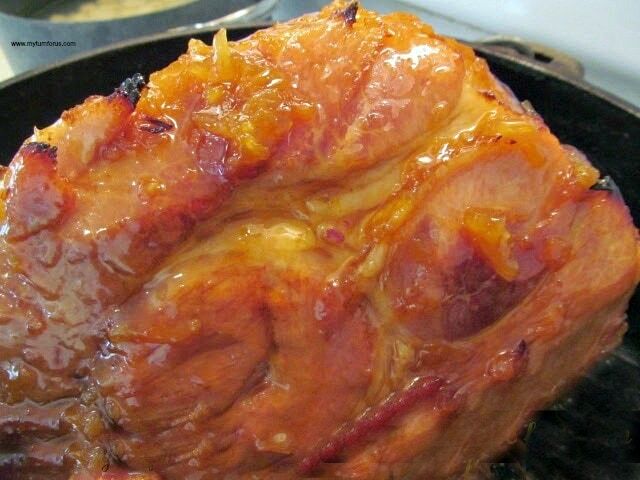 And just look at the beautiful glaze that makes our Pineapple Glazed Ham so delicious. It’s very easy and only takes up a few extra minutes of your time. Who else uses a paintbrush to brush on glazes or butter? May be applied several times during the last 30 minutes of cooking time for the ham. This is a great looking ham! 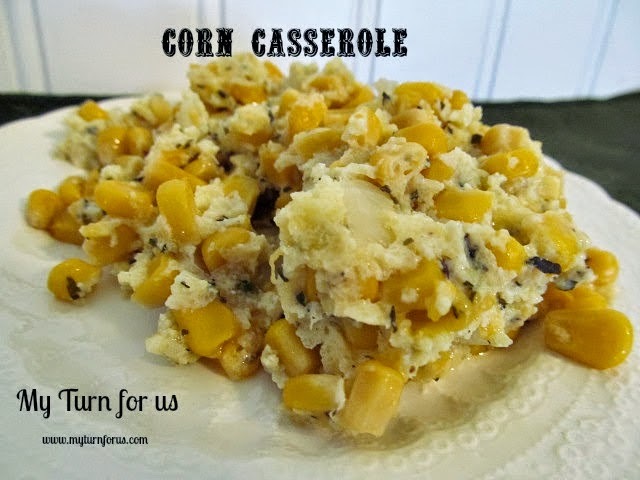 I have made this recipe and it is delicious. 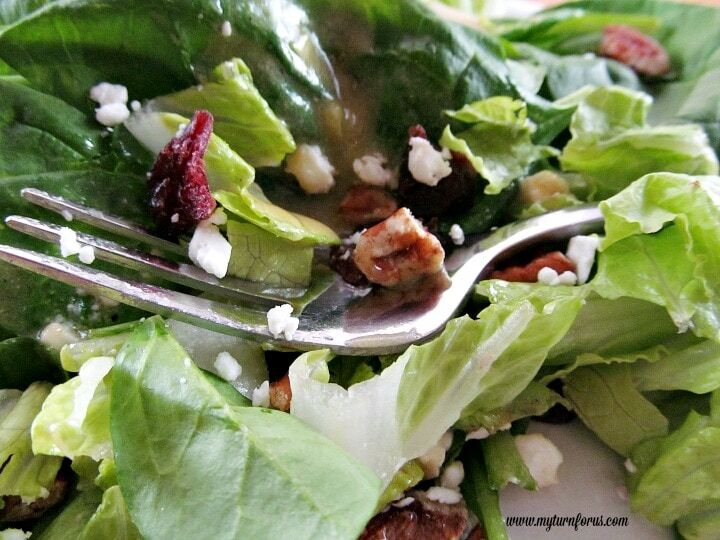 I am making it again today. Thank you for sharing with us. I have made this and it is delicious. My family loves it. Thank you so much for sharing.